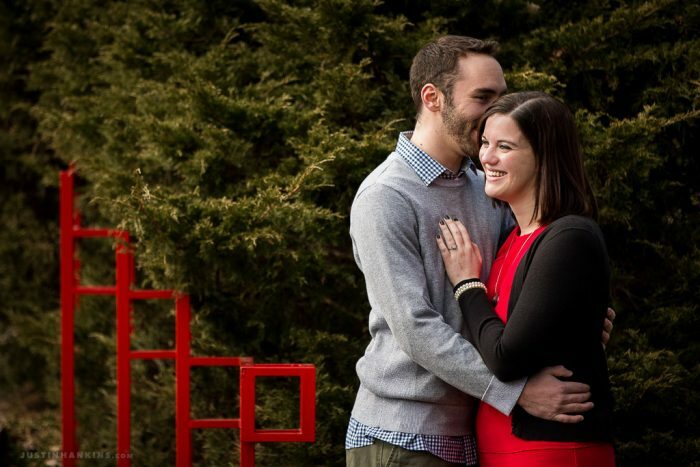 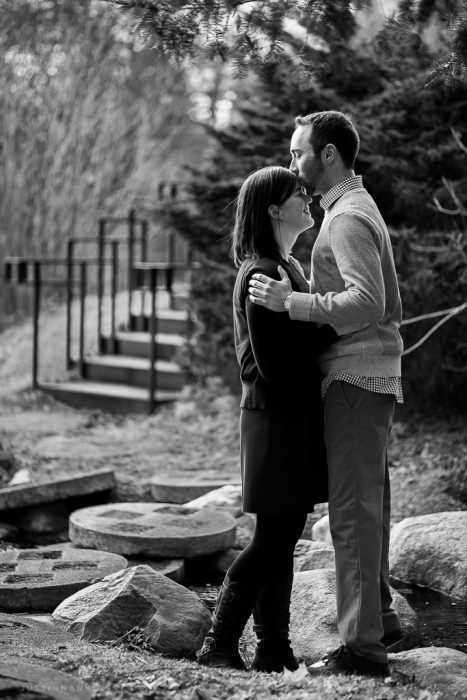 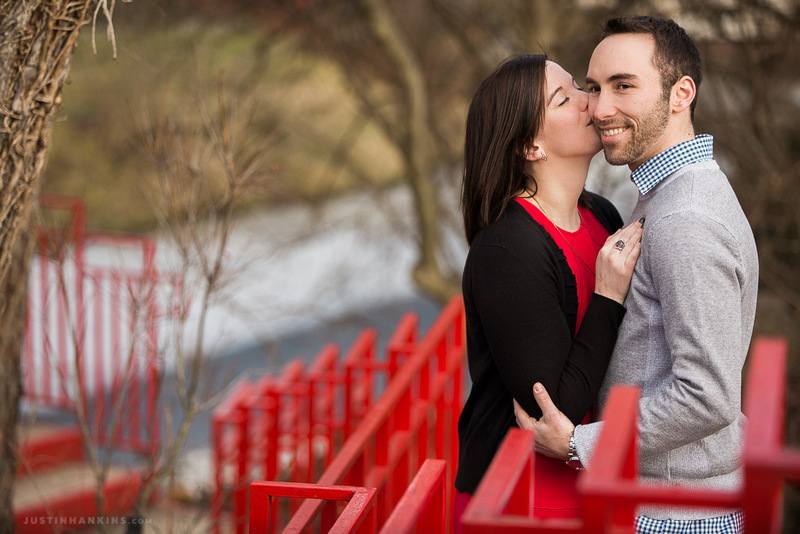 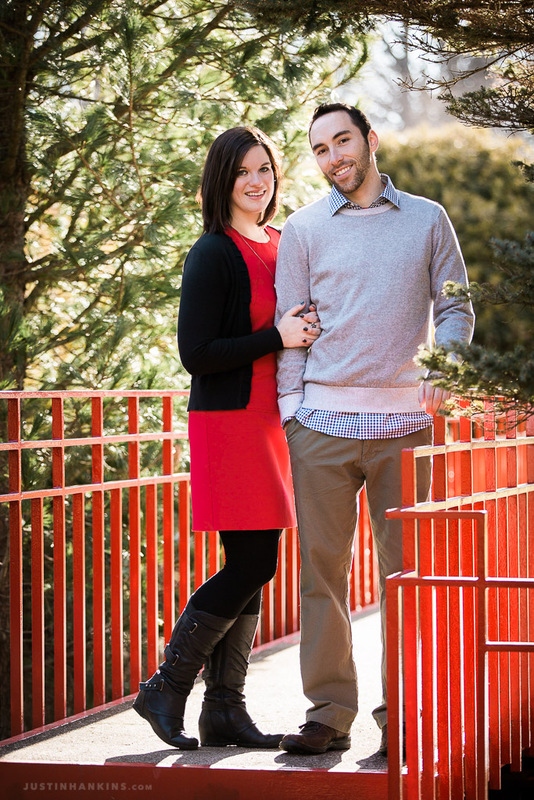 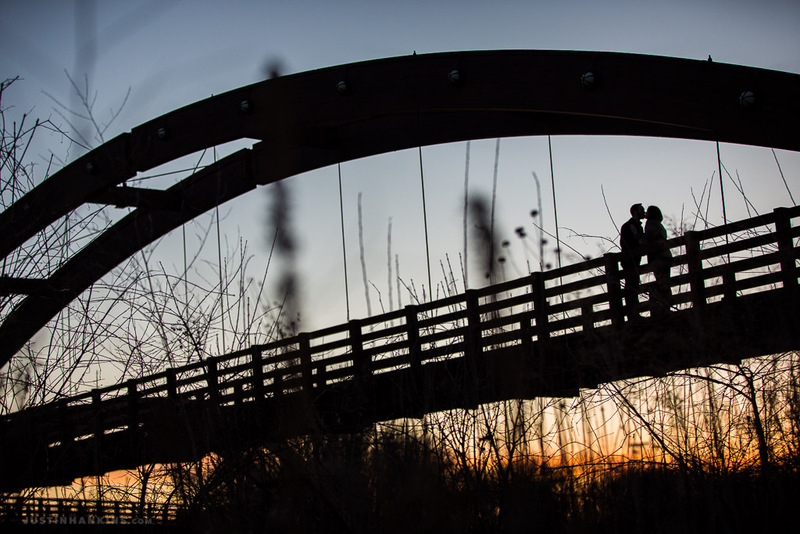 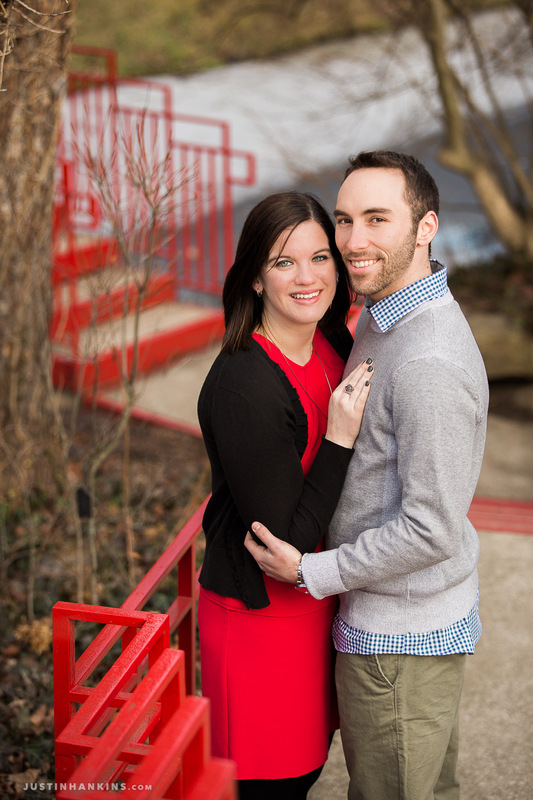 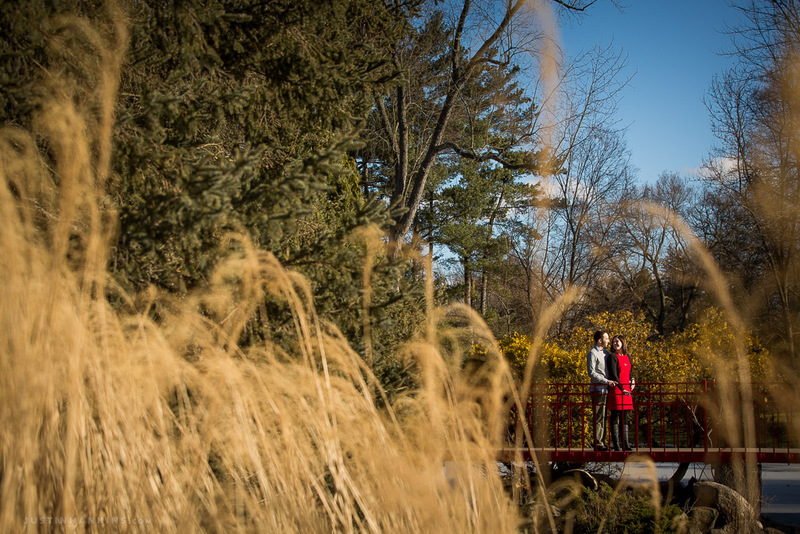 Here are some images from Adrienne and Tony’s winter engagement photo session at Dow Gardens and the Tridge in Midland, Michigan. 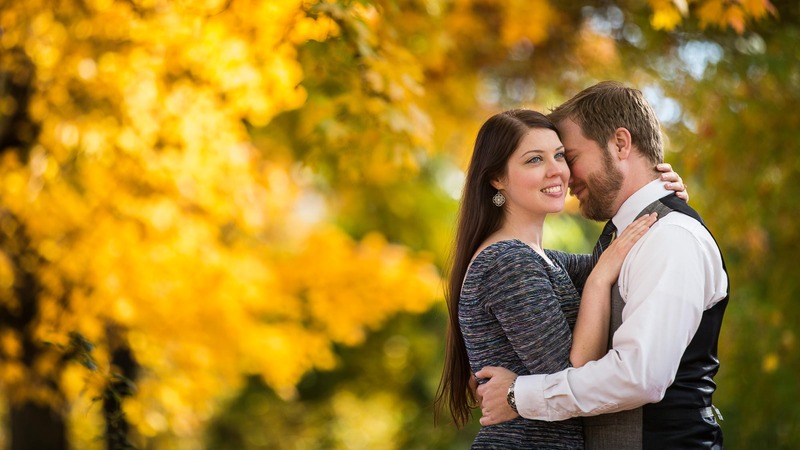 The three of us spent weeks planning the perfect, winter-themed session. 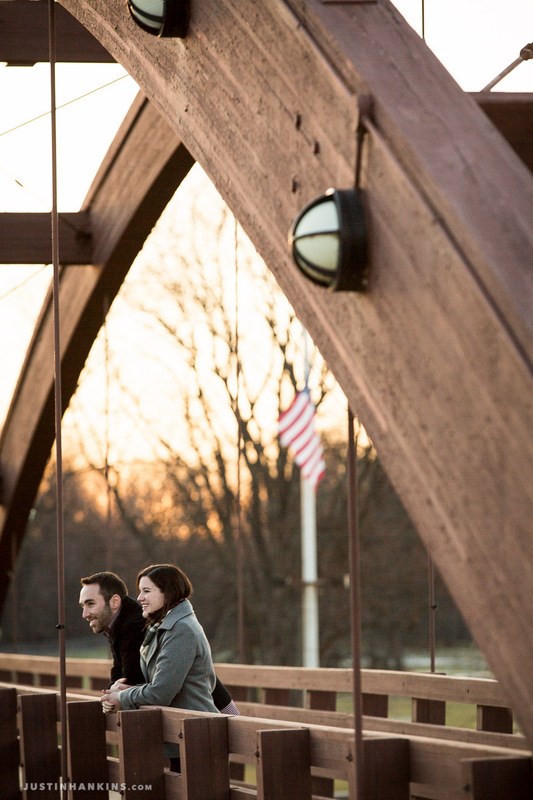 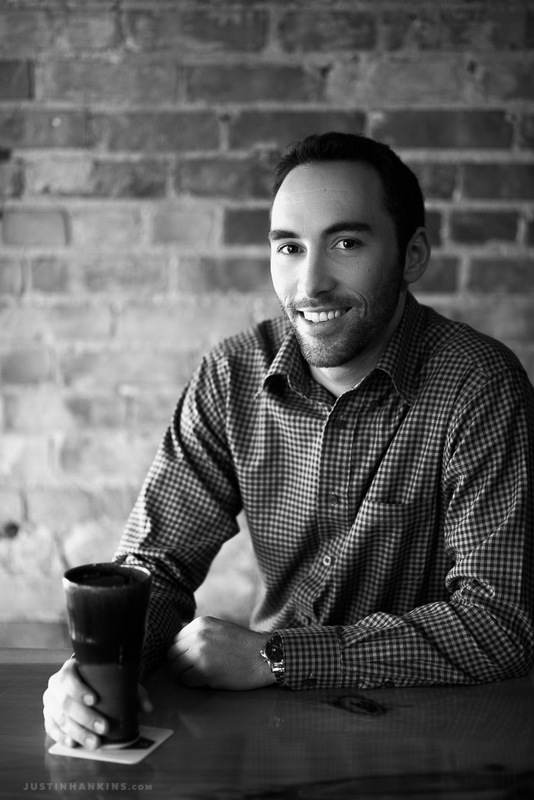 We scouted ski resorts and other local options to ensure that everything was lined up. 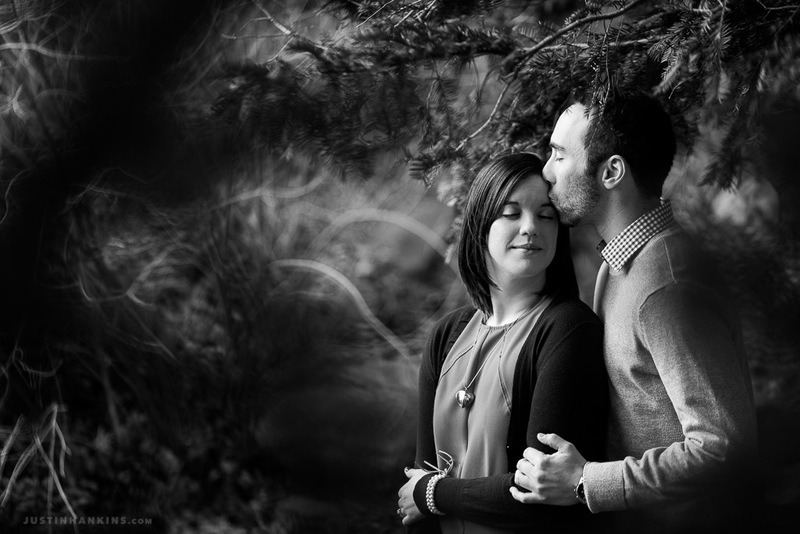 We were thrilled with the idea of creating a beautiful, winter-wonderlandy scene full of gentle snowflakes and cozy cuddles. 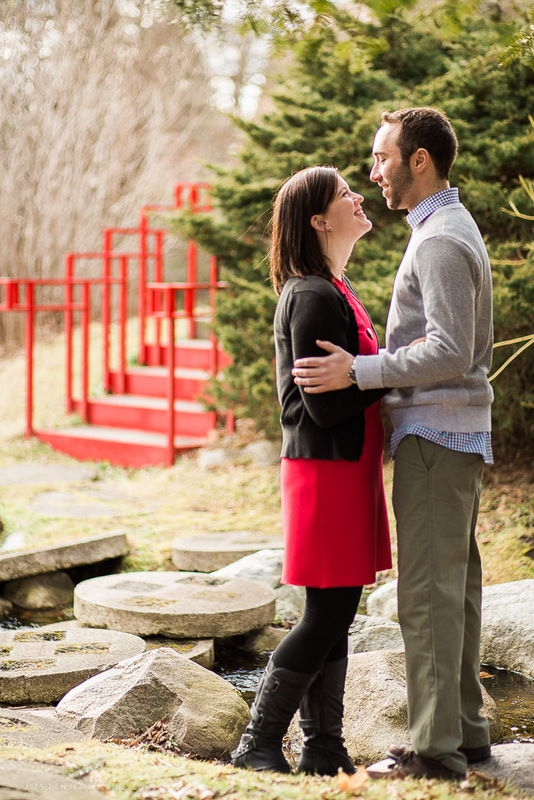 And by picking February as our date, we felt 110% confident that everything would go as planned for the snowy setting. 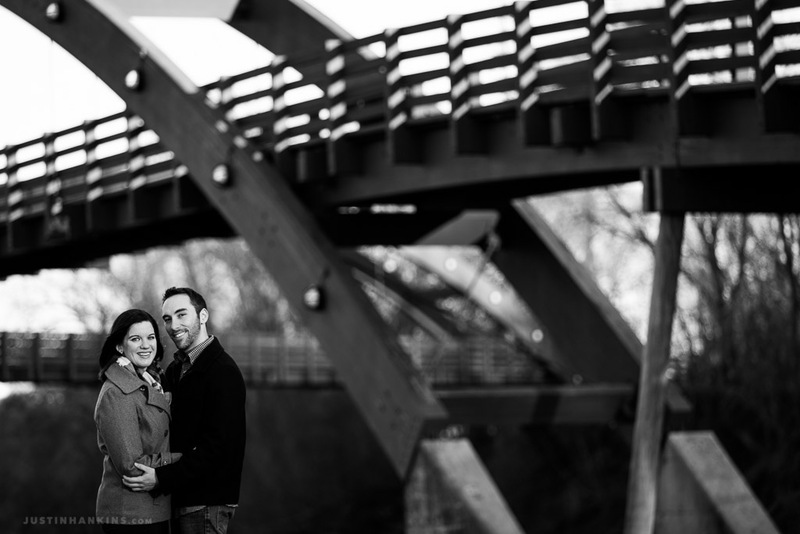 Faced with the opposite season than we anticipated, no living foliage whatsoever, and the throngs of Michiganders who were out celebrating springtime in February, we split our day at Dow Gardens, WhichCraft, and the almighty Tridge in pursuit of photos. 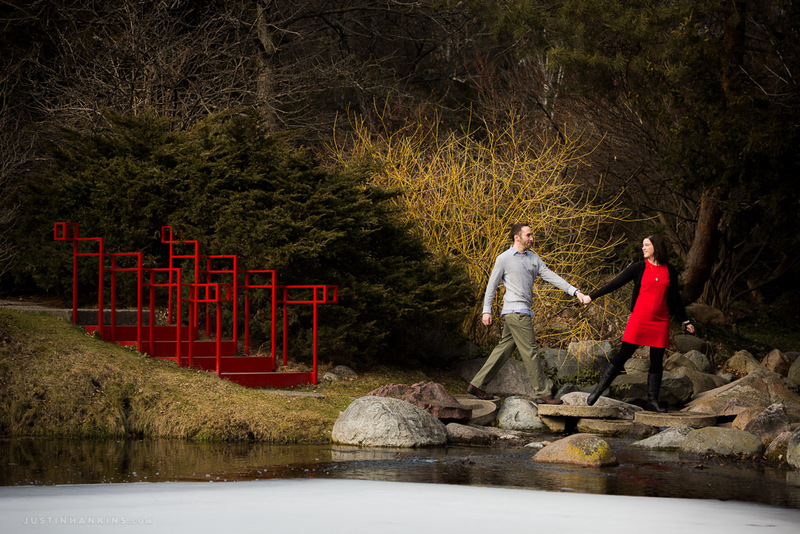 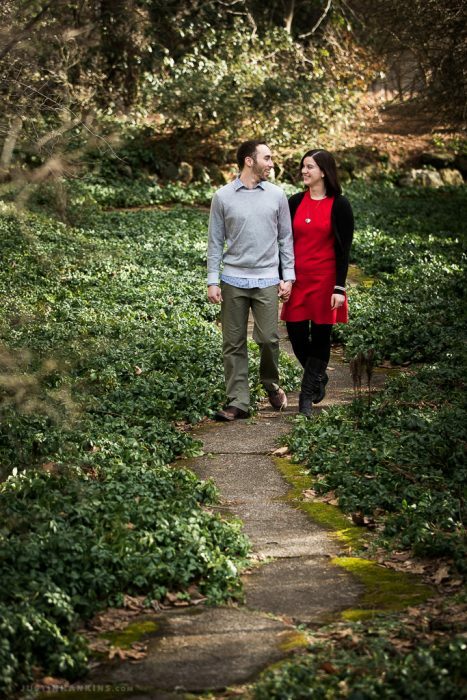 Adrienne and Tony got engaged at Dow Gardens, so we spent time hunting for color amongst the evergreens and in Alden Dow’s ornamental red designs. 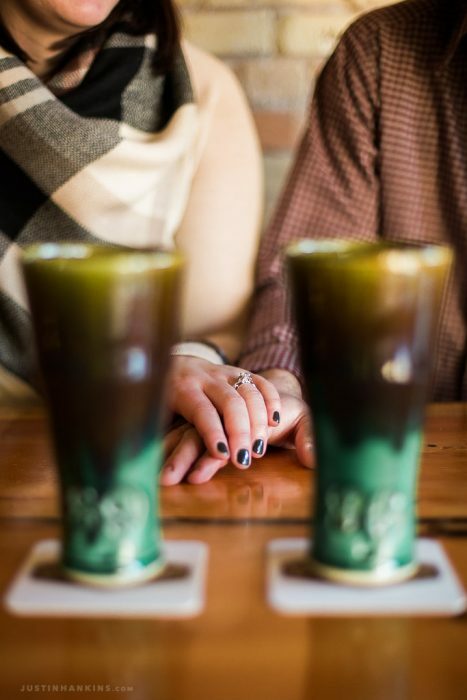 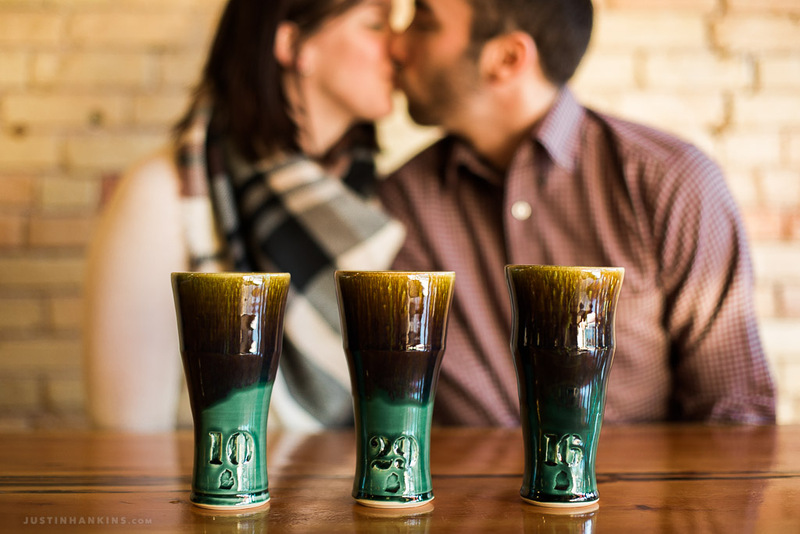 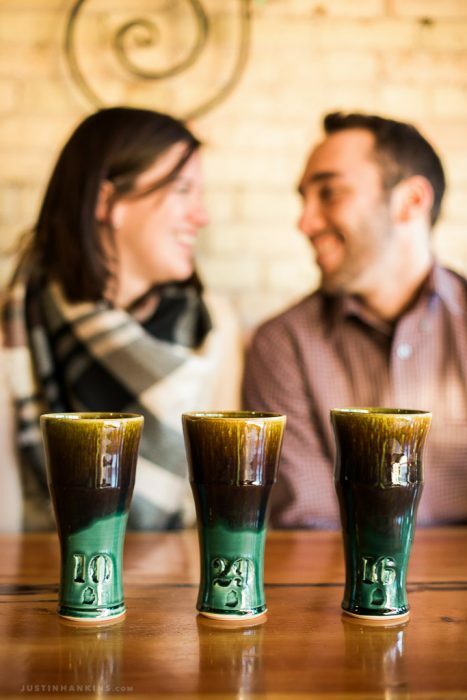 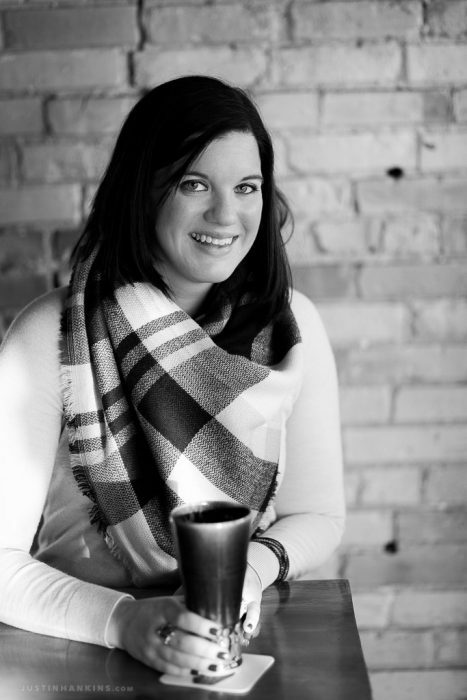 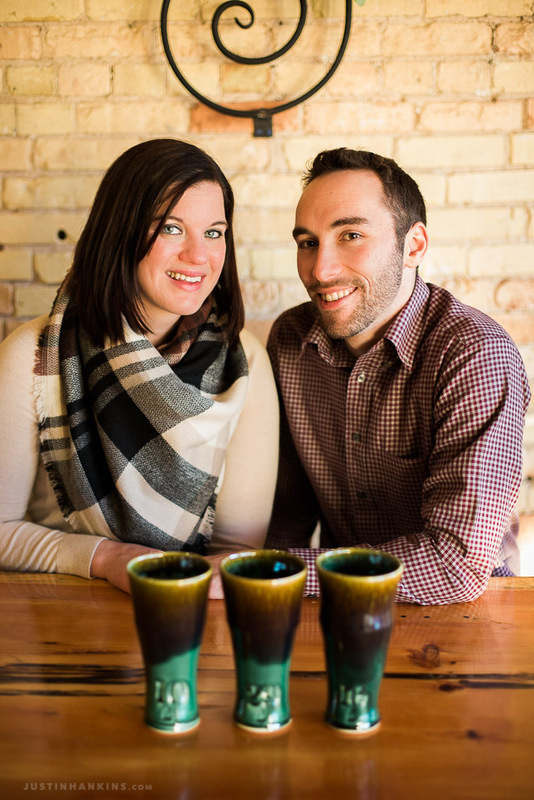 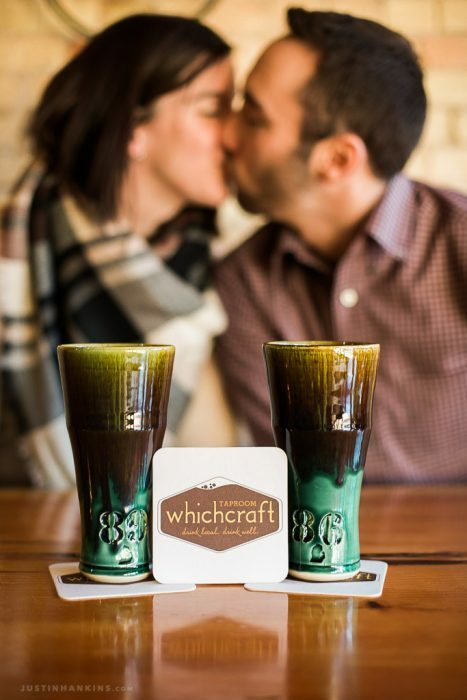 We then moved to the couple’s favorite craft bar, WhichCraft Taproom, for some images with their handcrafted, Michigan-made beer mugs. 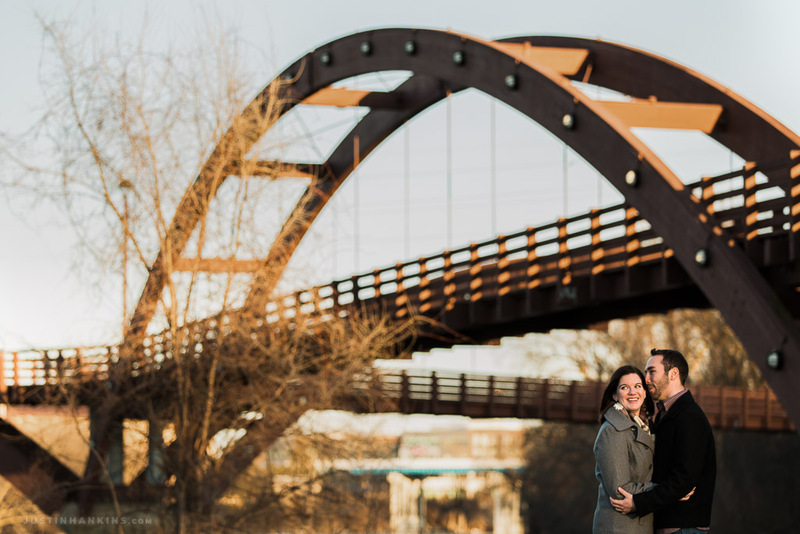 Finally, we wrapped our day at the world-famous Tridge! 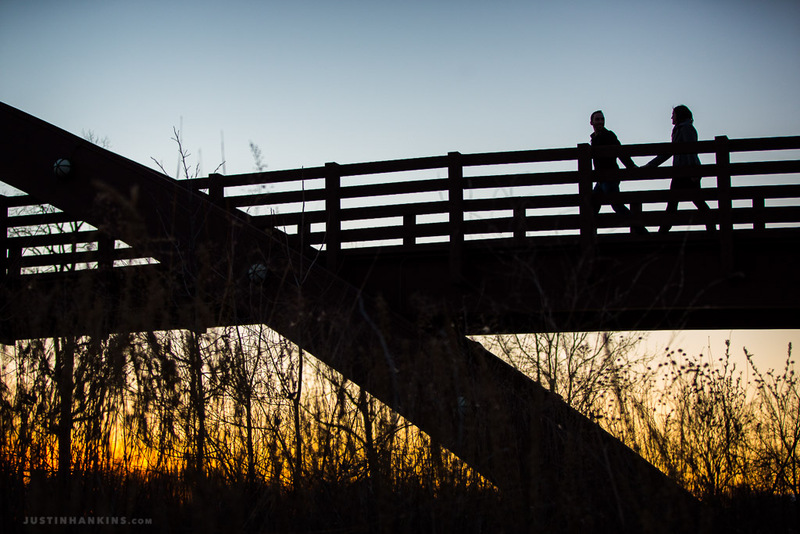 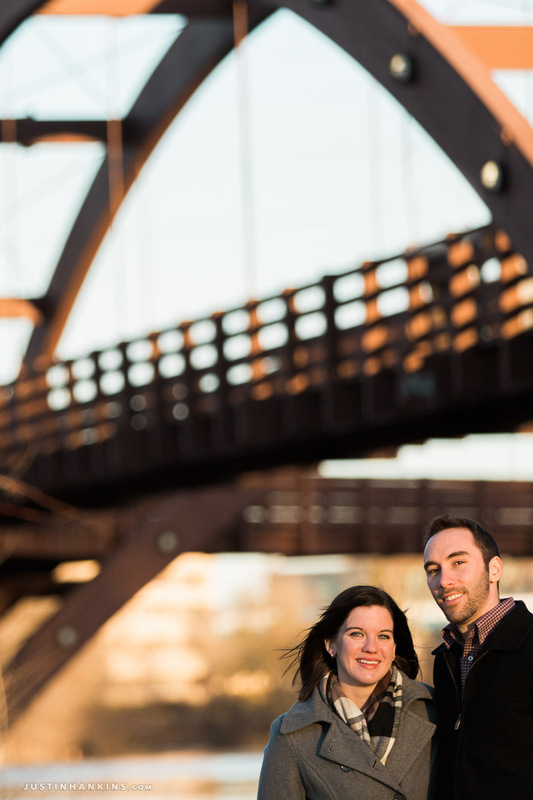 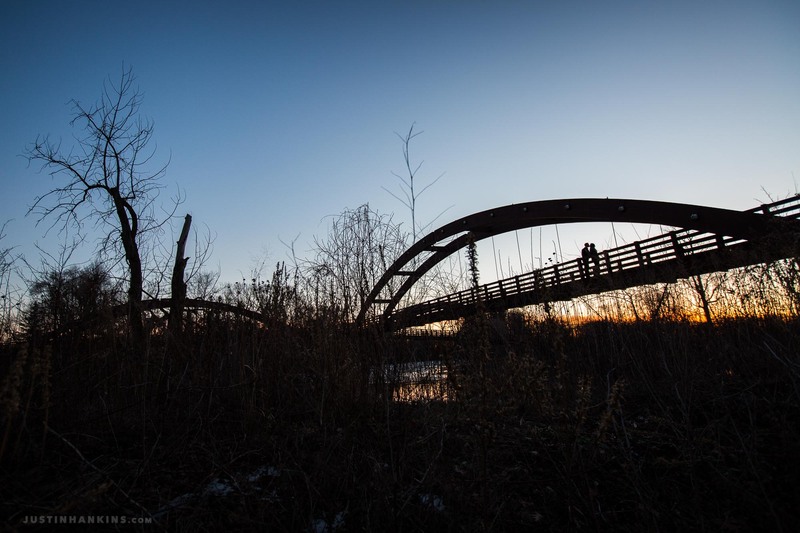 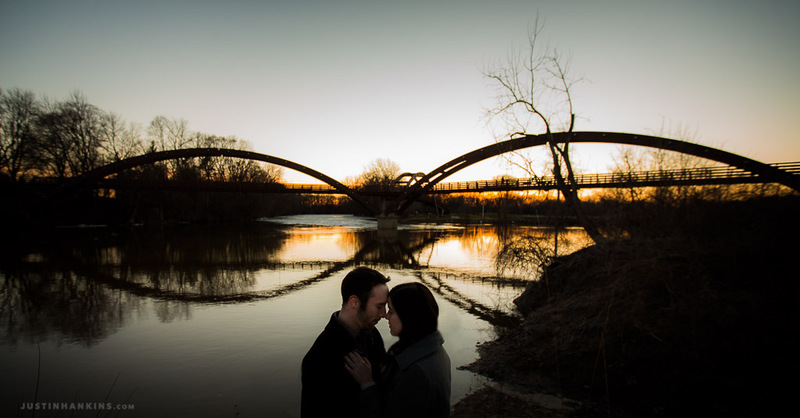 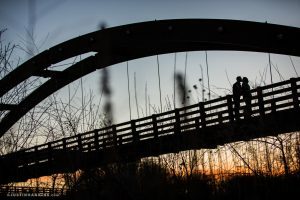 It was certainly bittersweet that our Tridge engagement photos were without the snow we had anticipated, but the gorgeous midwestern sunset was a fantastic consolation prize. 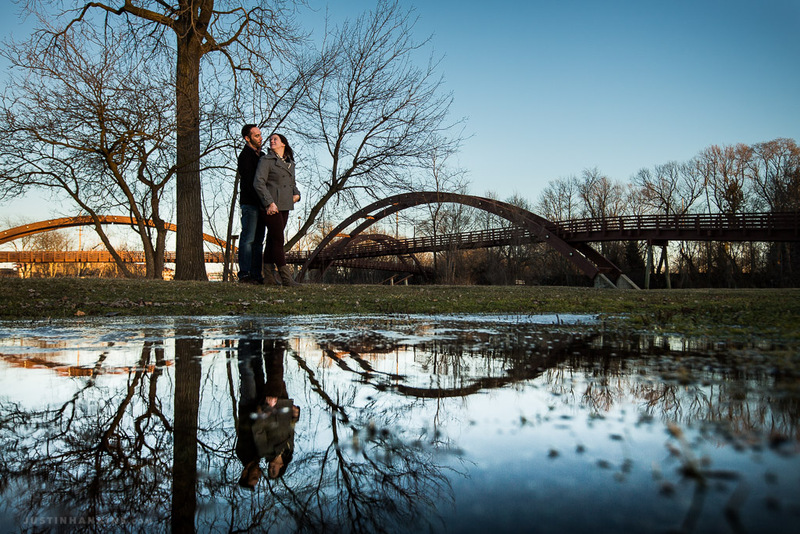 Can’t wait to see what unseasonable weather is in store for us this fall. 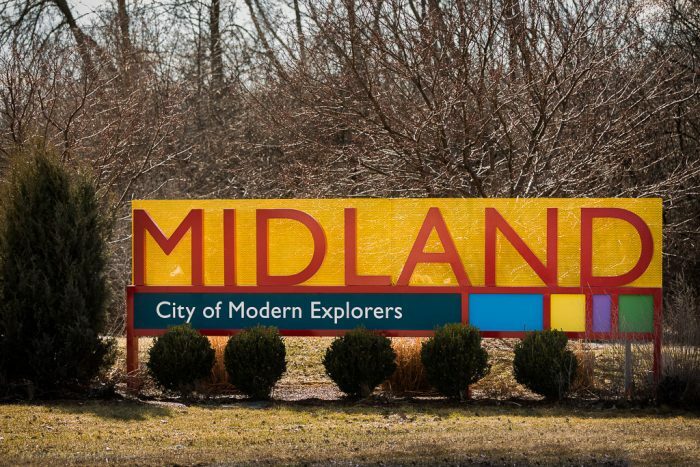 I’ll be packing both flip flops and boots just in case.